As writers, we’re expected to do everything: blog, publicize, teach, learn, read, critique, edit, revise, judge contests—let alone just write. Sometimes, an opportunity comes our way to lead a workshop, and sometimes, we pass because we’re just overwhelmed. 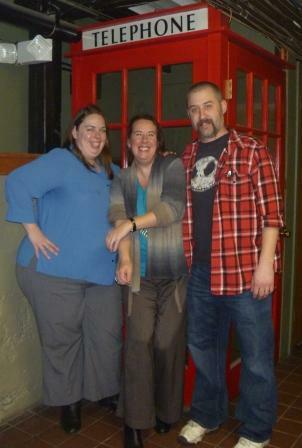 When New England Horror Writers’ members Trisha Wooldridge and TJ May asked me to be a co-presenter at a NEHW day-long workshop at Annie’s Book Stop in Worcester, MA, on February 4, I really had to think about it. I knew it was going to be just a couple of days after arriving in Provincetown, MA, for my annual winter stint at the Norman Mailer Writers Colony. I knew I didn’t want to go anywhere since it’s my time to disappear and write, write, write. But I said yes anyway, and I’m glad I did. TJ covered the craft, I covered revision and critique, and Trisha covered business; the participants were engaged and seemed to have a great time. I learned a great deal in the process, as well as getting a refresher on some things I’d forgotten over the years. I left there jazzed, and as I was driving back to Provincetown, I thought that when we pass on a workshop presentation opportunity, we really do miss out. The presenters and participants of the writers' workshop. 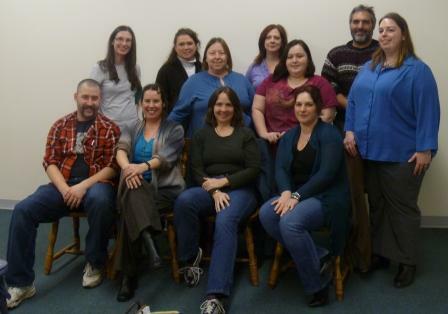 Back row, left to right: Cheryl Cory, Tracy Vartanian, Deborah Sadenwater, L’Aura Hladik, Kris Star, Bob Blois, and Trisha Woodridge; front row, left to right: TJ May, Kristi Petersen Schoonover, Lisa Jackson, and Jennifer Allis Provost. you—the same way you once sat in a workshop eager to learn from the presenter. Sharing your experiences and knowledge with other writers is giving back what someone gave you— which helped make you the writer you are today. 2. Learn New Things—or Relearn Old Ones. Because writing tends to be discussed rather than instructed, there’s loads to learn or re-learn from either presenters or participants. Get ready to take notes! 3. Appreciate Your Success. Let’s face it, being a writer means getting beat up and feeling not-so-fresh sometimes. But when you start sharing your war stories, you begin to realize that no matter how many times you’ve failed, you’ve accomplished and know quite a bit—in fact, you’ve probably come a long way, baby! 4. Make New Friends. Writing is a solitary venture, and it’s usually an instant connection with someone else who does this solitary venture, too. Yes, you can make great contacts through workshops—but you can also make great new friends. 5. Get Inspired. There’s nothing like being around other writers and talking about the craft to give you a renewed ambition and sense of purpose. Spend a day around that energy and you’ll be driving home on a natural high—you just might spend the evening cranking out new material. The next time you’re offered a chance to lead a workshop or to participate in one, don’t say no. You won’t regret it.